GIVEAWAY DAY 2!!!! To celebrate the launch of our new forums we will be having 100 DAYS OF GIVEAWAYS! In addition, today’s Giveaway comes from a woman who is truly a pioneer in the world of women’s involvement in the support of our 2nd Amendment rights. Her name is Daria Bruno and she has the ONLY gun talk show in the nation that is hosted by a woman. How cool is that? She is a lifetime member of the NRA and an NRA certified instructor. Lock Stock & Daria can be heard Saturdays 11AM-Noon on 920 WHJJ Radio, Providence, http://www.920whjj.com/ or on www.sticktoyourgunsradio.com . She can be found on FaceBook at https://www.facebook.com/pages/Lock-Stock-Daria/135739296486969 or at her website www.lockstockanddaria.com . 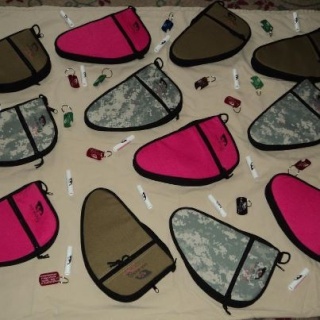 She has generously donated a dozen very nice pistol cases and some really cool dog tag key rings which we will run several times over the course of the giveaway. Today’s winner will receive one of each. Please help me to show our gratitude to this dynamic lady who goes to bat to support and defend our rights! 2. You must be fan of (Like) and Share our FaceBook page https://www.facebook.com/GirlsOfFire and you must be of fan of (Like) and Share the FaceBook page of today’s giveaway sponsor https://www.facebook.com/pages/Lock-Stock-Daria/135739296486969 . 3. 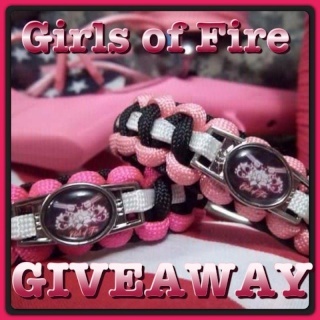 You must share the news of our giveaway by posting this link http://girlsoffireusa.forumotion.com/t83-giveaway-day-2 in the status on your FaceBook page. Thank You for great giveaways!!! Love your page and everything you share! Also love a good give away! Thanks!! Thanks Daria for the add ons!!! You rock. All done and shared! Thanks! All done! Thanks for the great opportunity! Done on all counts. Thank you so much for the giveaways! All done thanks for the opportunity to win some awesome merchandise! all is liked and shared!!! I Like both pages! :)Shared on my wall and also on my giveaway page!!! Thanks for the chance Girls of Fire! Registered, shared, liked and all that good stuff! Love your goodies! Just saw you guys. Signed up for the giveaway. Everything shared and posted. Did everything! Love this page!